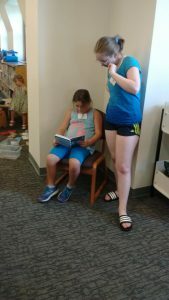 Here at Jefferson County Public Library, we just finished our summer reading program, during which we had the opportunity to host a teen intern. I wanted to write about our process and also give some advice about what we learned, which I blog about below. I hope future grantees find this helpful, and if they are interested in further material from our program, can find it on the 2018 Teen Intern Grantee Space. We advertised on our Facebook page and also during an outreach program we do each semester at local junior and high schools called Lunch in the Library, where we provide pizza for lunch and the teens get to learn about library services and offer suggestions for programming, collection development, etc. The Facebook advertising got the most interest from parents, who messaged the library’s Facebook account asking for more information, however I found that not many of their children actually applied. The most effective way I found good candidates was asking the school librarians if they had any aides that they thought would be interested. These students all had library experience that was helpful if we needed to do tasks related to shelf reading, shifting, etc. We had a very successful Teen Summer Internship program last summer at the Laurel Public Library and when we received a grant through the generosity of the Dollar General literacy Foundation and YALSA we knew we would do a similar program again for our teens. We have a very strong teen volunteer program already in place so we knew this would be a great opportunity for our teens. The process to be considered for an internship for the summer of 2018 started by requiring the teens to attend a mentoring program offered by a local community leader. The course was designed to run for eight weeks and during this time the teens learned many skills such as life skills, leadership skills, personal presentation, and public speaking. We initially started with eight teens, but regular attendance was an issue with the majority of the teens and we ended up with only three who completed the mentoring program and of those three, only two were selected for the internship. We also brought back one of last year’s interns, for a total of three for the summer. Our teen interns assisted us in a variety of ways! They ran our summer reading registration table (data entry, prize distribution/inventory), interacted with children (assisted with computers) and adults of all ages, assisted in weekly programs/activities (spray painted rocks, room set-up and tear down, created sample crafts), unpacked deliveries, pulled hold lists, etc. We see all three of our teens feeling empowered as they succeed in their role as summer interns. We want them to leave with the confidence and knowledge that they are a vital part of our community! Kristine Swanson is the outreach librarian for the Public Libraries of Saginaw. She has the privilege of taking the library to underserved groups of people in her community including the juvenile detention center, assisted living communities and memory care units. She feels blessed every day to be doing what she is doing! In the summer of 2017 the Russell Library in Middletown Connecticut, was accepted to participate in the national non-profit Girls Who Code©. 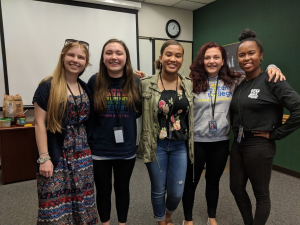 Girls Who Code (GWC) partners with other groups, such as libraries, to prepare students for careers in technology fields by introducing computer programming. Starting in September 2017 the Russell Library offered its first GWC course for 20 weeks to a full class of 12 students and a waiting list! The popularity and the community’s positive response suggested that the library should offer the course again. The initial impetus in searching for a grant was our robust teen volunteer program, which offers important job preparation skills to the teens of Middletown. Teens volunteer at the library all year long, with the majority of the hours in the summer. During the brainstorming process, the concept transformed from volunteers assisting in all Youth and Family Learning Summer Learning Programs to two interns for a specific program, GWC. The Octavia Fellin Public Library (OFPL) in Gallup, NM used the funds from the Summer Learning Resource Grant to purchase equipment to begin a Youth Media Lab where tweens and teens would have access to film and audio equipment as well as editing software. At the end of May OFPL was approached by the Miss Navajo Council, Inc. seeking help for creating a multimedia project to commemorate the 150th anniversary of the signing of the Treaty of 1868, which allowed the Navajo Tribe to return to their ancestral homelands after being deported to the Bosque Redondo Reservation. We partnered with the organization utilizing our new equipment and community members to create an intergenerational reading of the Treaty accessible to a modern audience. The resulting project involved 14 community participants (youth and adult) from the community, and historical photographs from the Library of Congress and National Archives. It was shown at 3 commemoration events in Flagstaff, Arizona; Farmington, New Mexico; and Gallup, New Mexico. OFPL also hosted an exhibit detailing the importance of the treaty and its lasting impacts. The Keene Public Library in Keene, N.H., just finished a very successful Camp Fun to Read program. 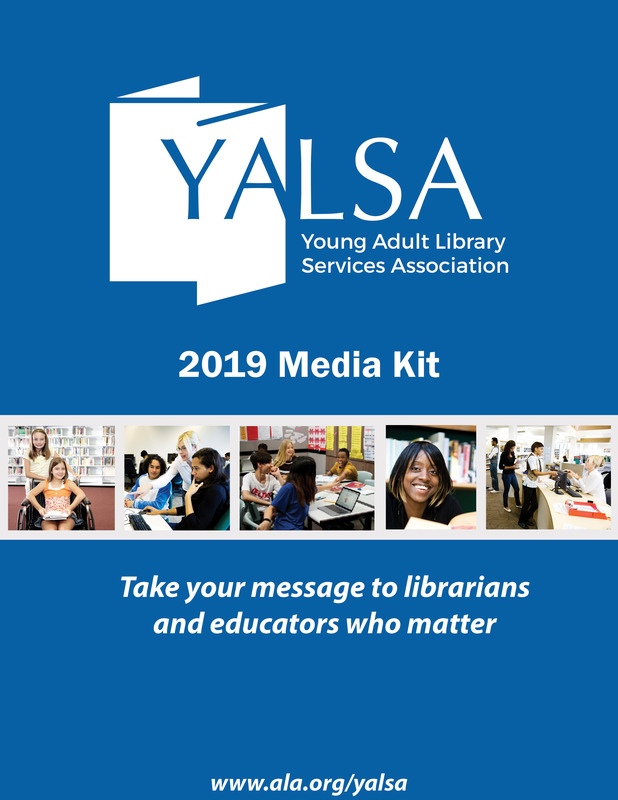 What made our program so successful was the opportunity to provide three paid teen internships which we were awarded through the generosity of the Dollar General Literacy Foundation and YALSA. The interns served as reading and writing mentors or buddies to younger children who are beginning or struggling readers in our Camp Fun to Read Summer Reading Program. The goal of this program was to boost confidence and encourage young children who will be entering 1st through 3rd grades to take ownership of their own reading adventures. Camp Fun to Read took place at the library from August 6 – 17, Monday – Friday from 1-3 pm. We began the process of recruiting the interns while school was still in session when we contacted the school librarians, counselors, and teachers for referrals. A job description was created and approved by the City of Keene. 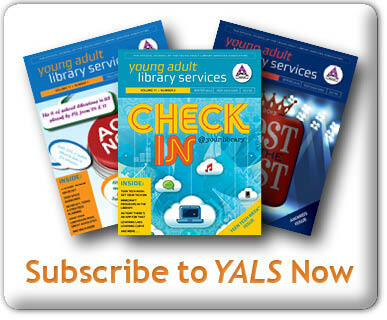 A team of youth and teen librarians interviewed six candidates and three teens were selected. Two weeks before the start of the camp, teens attended a paid orientation program to acquaint them with the library and the goals of the camp. Interns then worked 4 hours each day from 12 – 4 for two weeks. 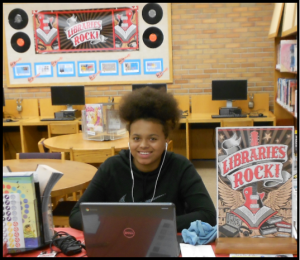 Teens worked with librarians and peers to develop and carry out activities designed to inspire young readers to explore their own reading and writing interests. Teens read to younger children and encouraged their independent and group reading activities. Interns assisted book selection, preparation of craft activities, set up and tore down for each session. Interns gained experience working with young children by engaging with them in a variety of activities involving reading, crafts, drama, and technology. This summer Wake County Public Libraries (WCPL), located in Raleigh, North Carolina, started a new teen internship program for older teens (grades 11-12) to assist in providing fun engaging learning opportunities for participants at selective USDA funded Summer Food Sites in partnership with Wake County Parks and Recreation . The funding from the YALSA Summer Learning Grant that is funded by Dollar General helped offset the costs of this program. In our grant application, our initial goal was to hire two interns. However, once we started to review the program and interview candidates we decided to increase this number to five interns. All five interns were selected from WCPL’s Teen Leadership Corps that served the areas of some of our most vulnerable communities. The teens were interviewed and hired in May. In early June, they received training, participated in leadership building skills and worked with four of our librarians to design the program they would deliver to the food site participants from mid-June to early August. The interns provided programs Monday through Thursday with oversight from our librarians and staff from the parks serving as food sites. On Fridays, members of the local Boys and Girls Club worked at the sites while our teens participated in debriefing meetings with the librarians, as well as skills building and enrichment opportunities to enhance their experience. As a new librarian at a small, rural school I was thrilled to have the opportunity of utilizing the Dollar General Literacy Grant on behalf of my students. Since our community is without a public library, I used the library funds to create six separate programs to coincide with open library nights at our high school library. From a cooking night to a night on 3-D printers, we tried to appeal to a wide variety of interests. We used grant funds purchase books related to the program’s theme, supplies so students could participate in making and creating, and as a final attempt to get students into the library, free pizza. 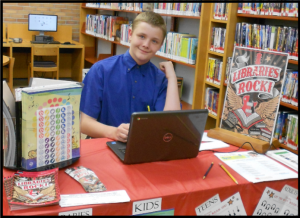 Without extensive experience creating reading programs for teens, this program seemed fairly well planned. I thought I hit several of the right notes with a variety of themes, active participation for the students, and the time honored free pizza. I had planned to have a meeting with interested students and get them involved in the planning, but the last two months of the school year exploded with award ceremonies, a softball and baseball season suddenly full of double and even triple headers due to prior inclement weather, regents study groups, and last minute fire and lockdown drills. Suddenly I was without student input and left to my own devices. I decided to simply carry on with the original plan because it was a pretty good plan, right? 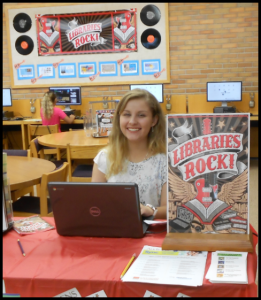 The Turner Free Library’s YALSA Teen Intern Grant was a huge success! We used the grant to hire two interns to both take over an existing and well-established summer teen volunteer program as well as undertake a new construction project. 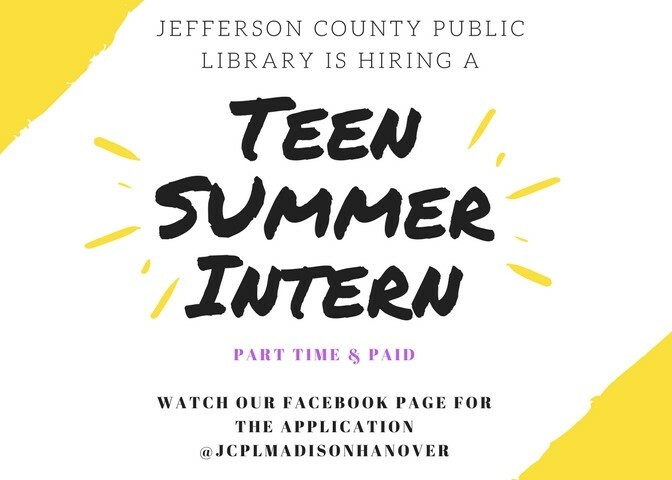 The internship position was posted in April and the library had 15 teen applicants. After reviewing resumes, we had 8 teens come in for interviews in May. This process was fantastic as many came with great resumes and in very professional attire. We used this as an opportunity to give direction to any teens that were not as well prepared. We selected two candidates for the internship position based on their qualifications, resumes, and leadership abilities (evident in the interviews). The library was able to pass along information from the other qualified candidates to the town, which had its own internship program this summer. 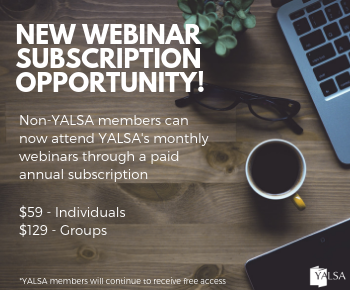 By Guest Blog September 19, 2018 December 11, 2018 College and Workforce Readiness, Funding, Future Ready, Interactions with Teens, Literacies, YALSA Info. Butler, Pennsylvania, is a small city 25 miles north of Pittsburgh. Parts of Butler can be fairly suburban, while other parts are quite rural. The Butler Area Public Library is located in downtown Butler, and serves a population of about 14,000. Two thirds of individuals ages 25 and over have had no post-secondary education. 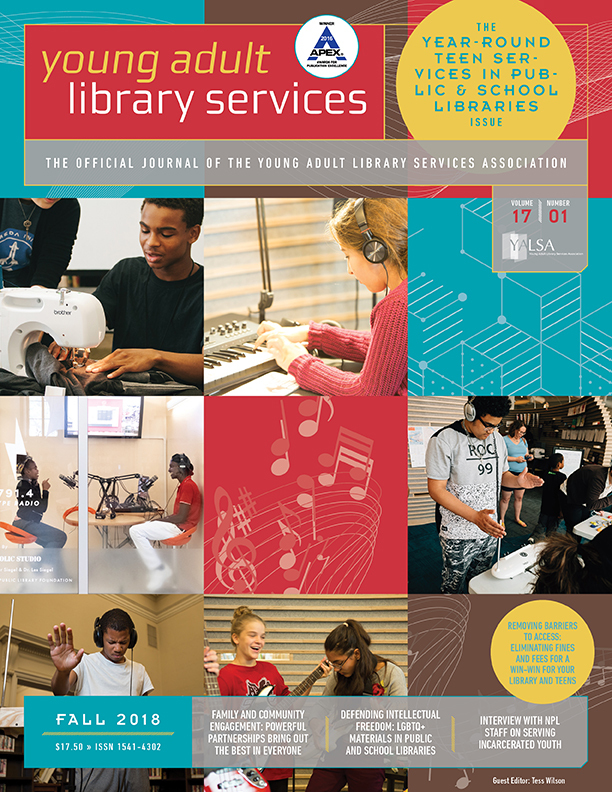 As a result, many of the teens that the library serves are preparing to be first generation college students; families are often not well prepared to teach the skills of adult life to their teens. While local schools have begun making an effort, teens are still finding themselves unprepared to transition into adulthood. 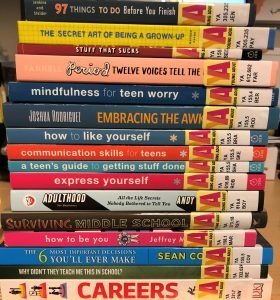 This is just a small sample of the materials we added to the YA Collection on various topics related to “adulting”. 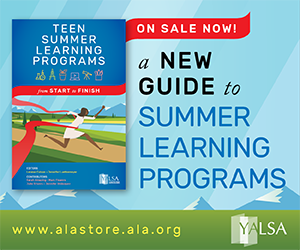 BAPL was fortunate to receive grant funding from YALSA and the Dollar General Literacy Foundation to create summer programming to help teens work on learning or improving real world skills, such as job seeking, budgeting, and meal preparation. We planned six weeks of programming, with a different focus area covered each week. The goal of the program was to teach the teens soft skills and life skills in ways that were fun and engaging. We also used a portion of the grant funding to update our Young Adult Collection to have more materials that covered these topics.